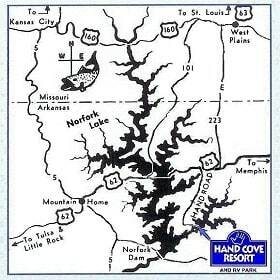 Hand Cove Resort and our marine partners will accommodate you. Grab a jet ski for a day or a nicely equipped fishing boat to chase that big one. Need a ski boat, or a 15 person pontoon with water slide, or maybe a 25 person party barge? We can help. 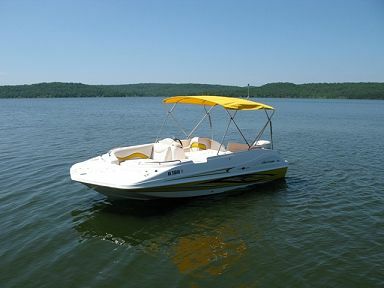 No matter what your needs, Hand Cove Resort can get you on the water. 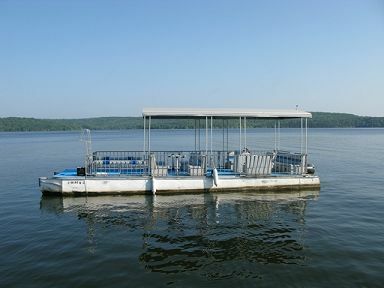 This boat is perfect for a large group of people wanting to spend the day out on the lake. It even has tables for you to eat lunch on. E-tec engine, CD player, and a tow bar. 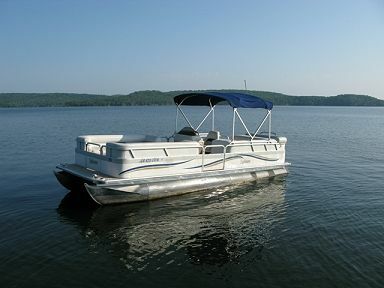 This is a great boat for medium groups wanting all the thrills of going fast and pulling tubes. Evinrude E-tec motor, CD player, and a tow bar. 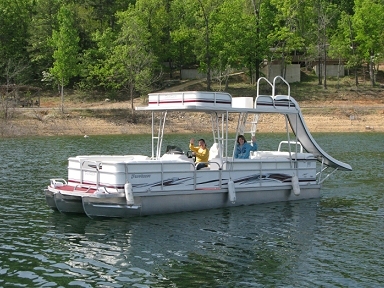 This boat has an upper deck, a water slide, and the ability to pull tubes, skiers, and wake boarders. 110 horsepower and seating for three. 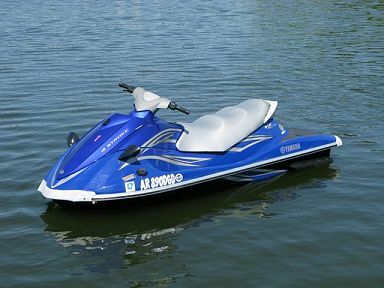 This watercraft is excellent for anyone seeking thrills on the lake. No towing is allowed on this water craft.